Pumpkins are the best and they belong in everything. Like drinks. Lots and lots of drinks! I’ve put together a list of Pumpkin Cocktail recipes for you to enjoy this Autumn (or all year, I won’t judge you). 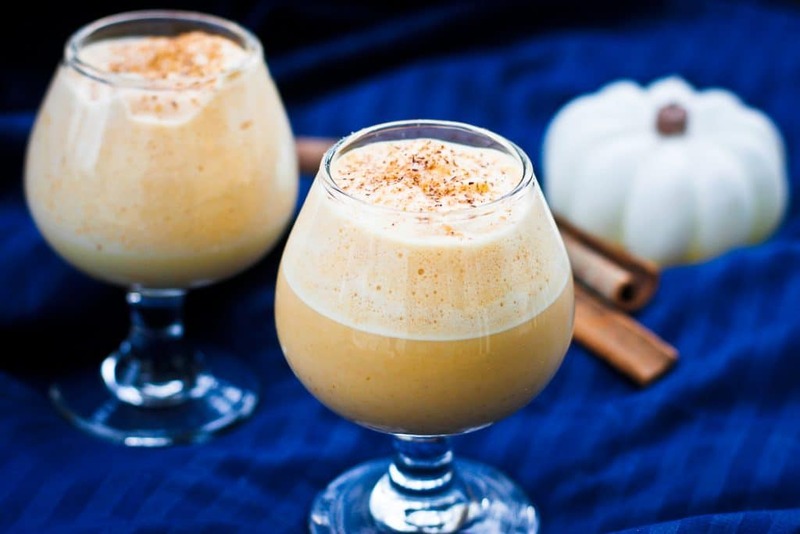 They get their pumpkin flavor from various ingredients, from different types of pumpkin liqueur to real pumpkin. And they include all sorts of booze from rum to bourbon. Any of these pumpkin cocktai lrecipes would be welcome around a late summer bonfire or at the Thanksgiving table. 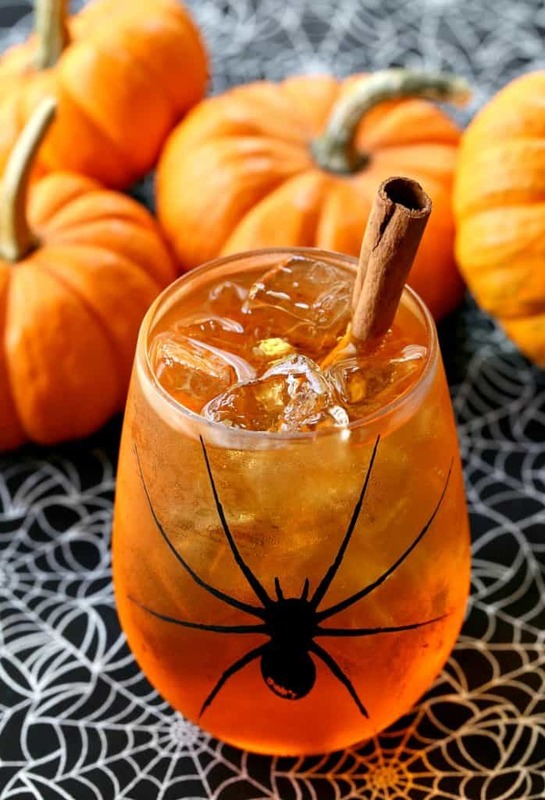 Get your cocktail shakers and your jiggers ready, it’s time to sip on some autumn flavors with over a dozen delicious spiked pumpkin drinks to choose from! This is my go-to drink when it’s too late for coffee but I still need my pumpkin spice. 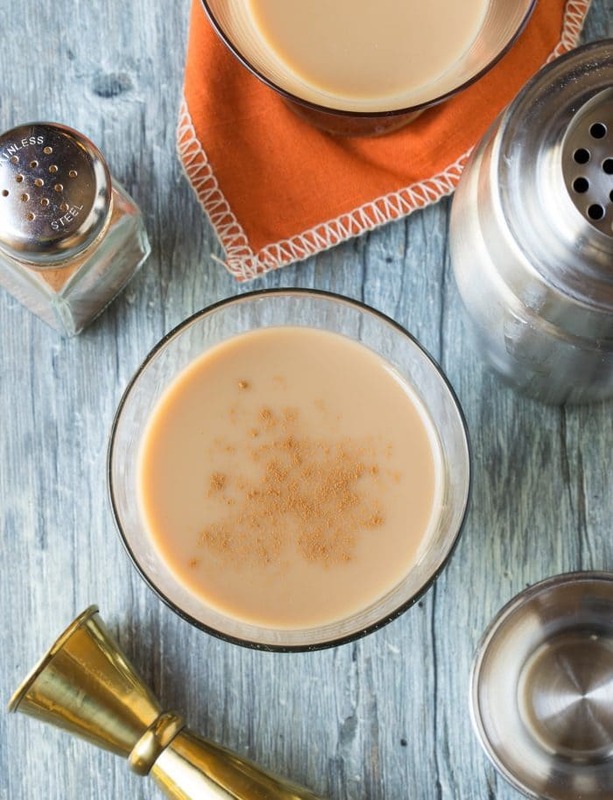 The warm milk and boozy pumpkin pie flavor are the perfect autumn nightcap. My kids have been on a hot chocolate kick, I’m pretty sure I would be too if this was on the menu! 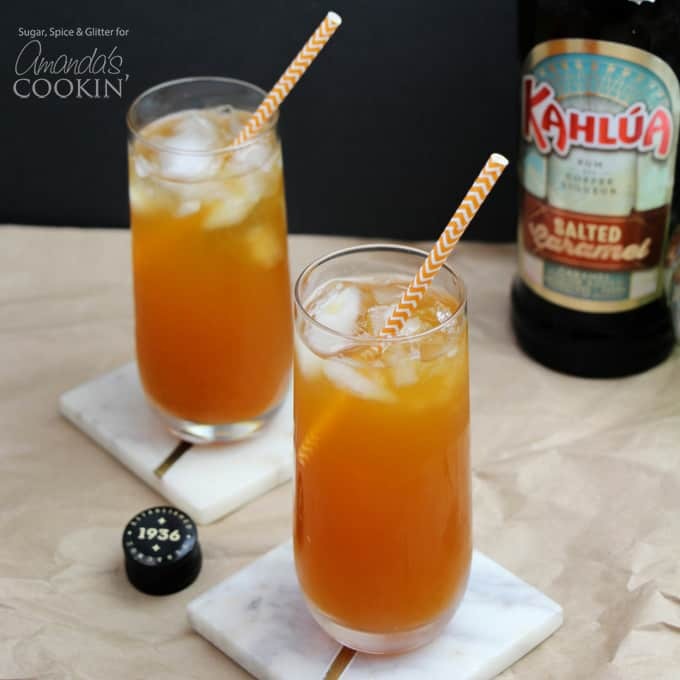 This recipe gets its pumpkin flavor from Pumpkin Spice Kahlua, something I’ll be hunting down asap and fall is hunting season right? 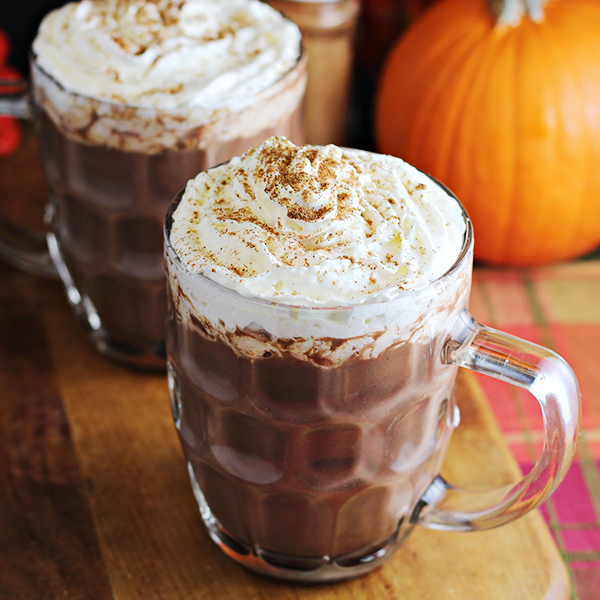 It might sound crazy but pumpkin and chocolate go together better than chocolate and peanut butter. Pumpkin has a light natural sweetness that complements chocolate without making it a crazy sugar bomb. 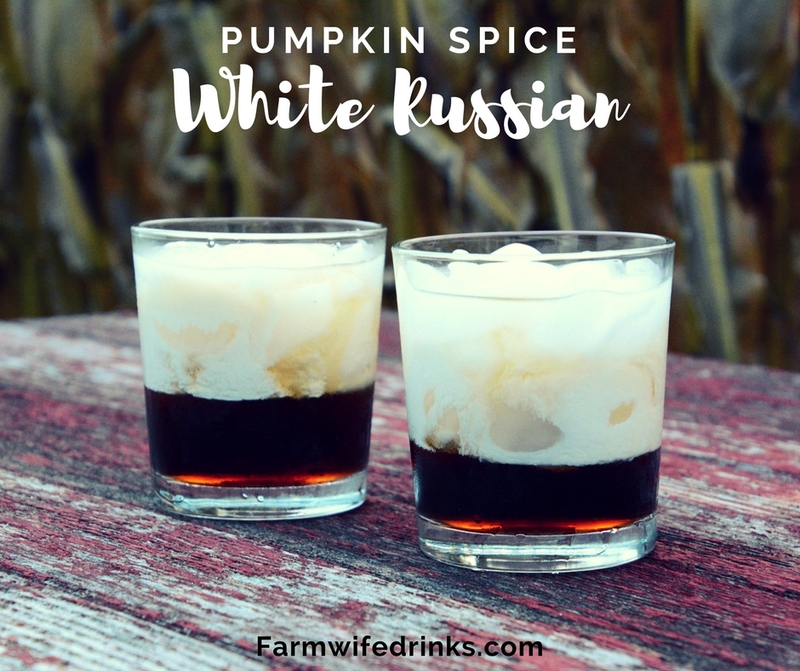 This autumn twist on the classic White Russian is made with more Pumpkin Spice Kahlua, this time with the addition of vanilla vodka and half and half. 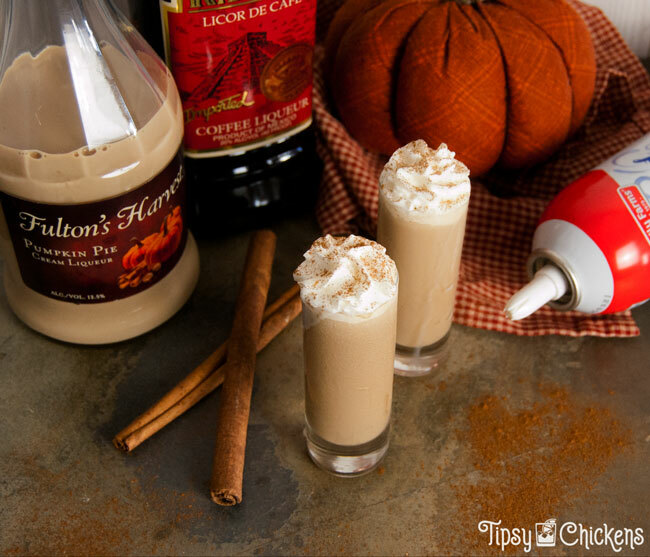 If you’re looking for a pumpkin spice coffee flavor in a small package you need to try these shots! I even had my sister enjoying them and she hates the taste of alcohol. The get their pumpkin flavor from Pumpkin Pie Liquor. How about another delicious pumpkin drink in a small package? The sweet treat gets its pumpkin flavor from our now good friend Pumpkin Spice Kahlua. 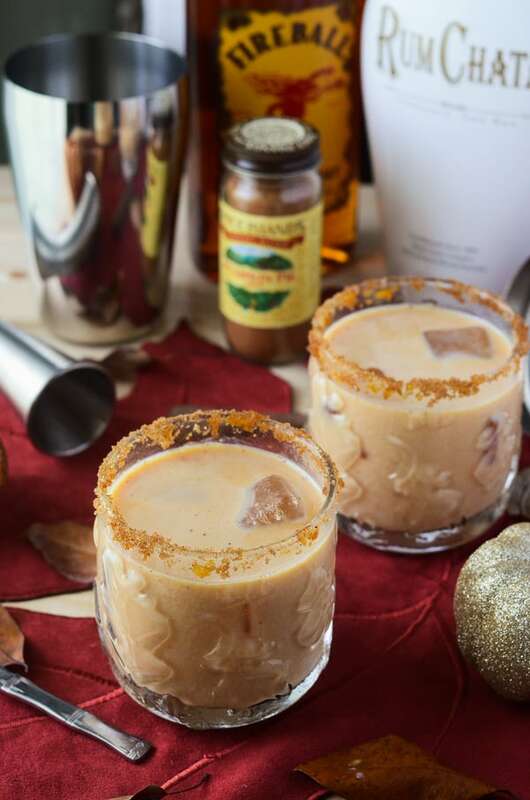 We’ll step away from the coffee flavors for a second to enjoy some of my favorite cinnamon cream liquor, it makes a damn good mousse and an amazing pumpkin cocktail when mixed with pumpkin puree & cinnamon whiskey. This one requires a bit of work ahead of time, the recipes included a DIY spiced pumpkin syrup made from real pumpkin puree. You combine the syrup with bourbon and other goodies to make the cocktail. 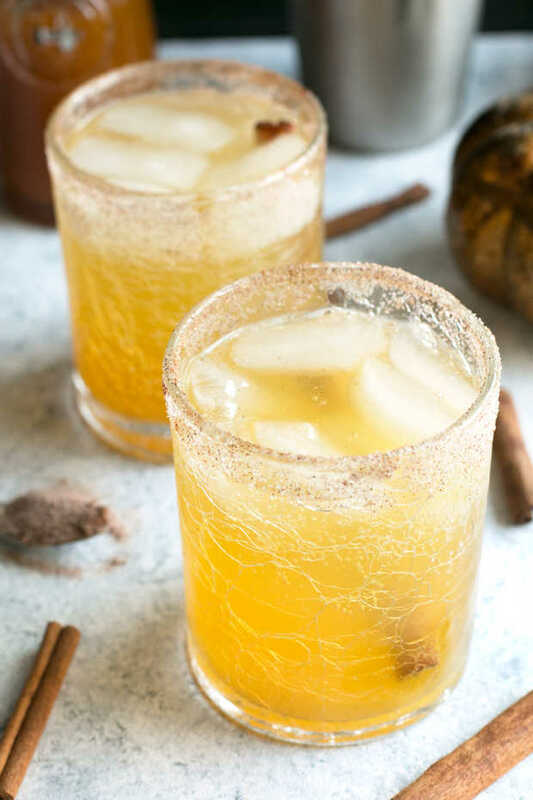 For a bonus hit of fall flavor the glass is rimmed with sugar and all your favorite autumn spices. While we’ve got the bourbon and pumpkin puree out we might as well grab some eggs and make eggnog. 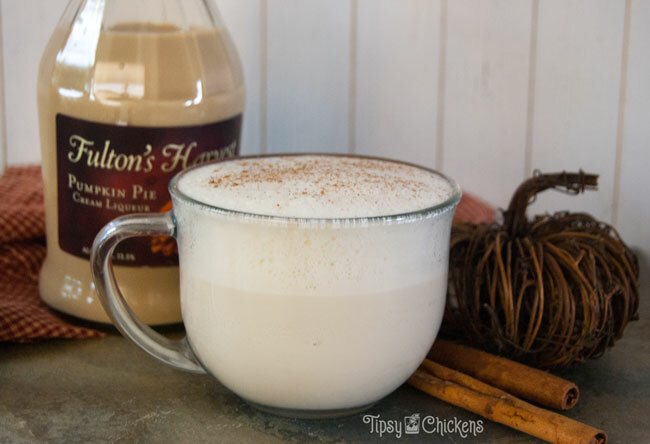 This fall eggnog recipe is thick, creamy and full of autumn flavor. Pumpkin and salted caramel sound like a match made in heaven and adding apple cider can only make it better. Do yourself a favor and get some quality apple cider for this one, if you can get fresh pressed & local it’ll change your life! I’ve got a little cider left from my Apple Cider Donut Cocktail and I think it’s destined for this recipe. 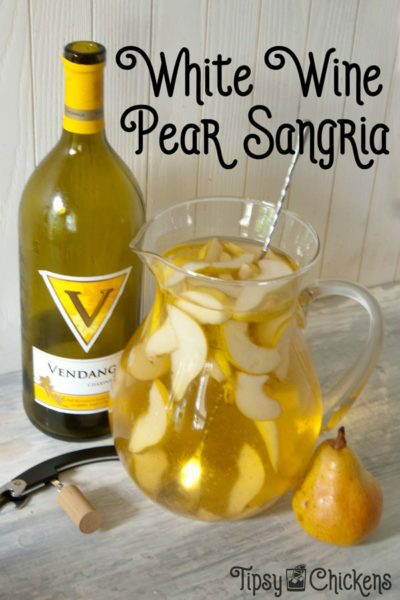 This recipe gets its pumpkin flavor from pumpkin spiced apple cider, which I had no idea existed but it does sound incredibly tempting. 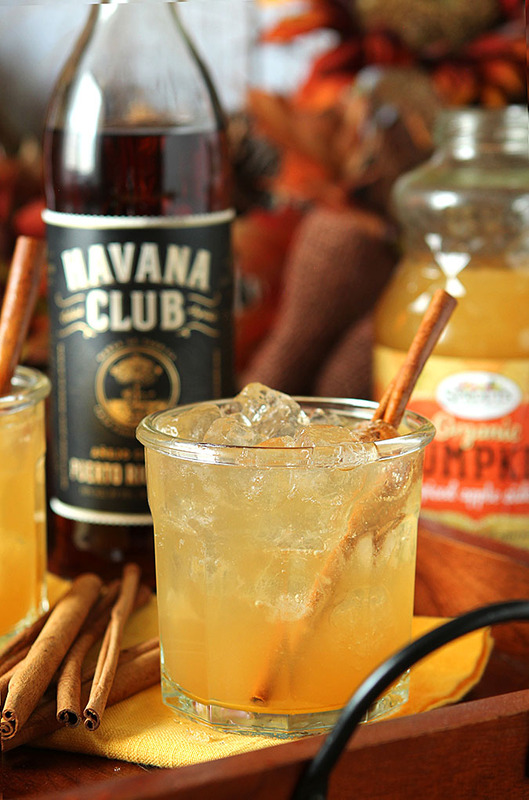 The boozey kick comes from dark rum, which I’m convinced was made for fall weather. 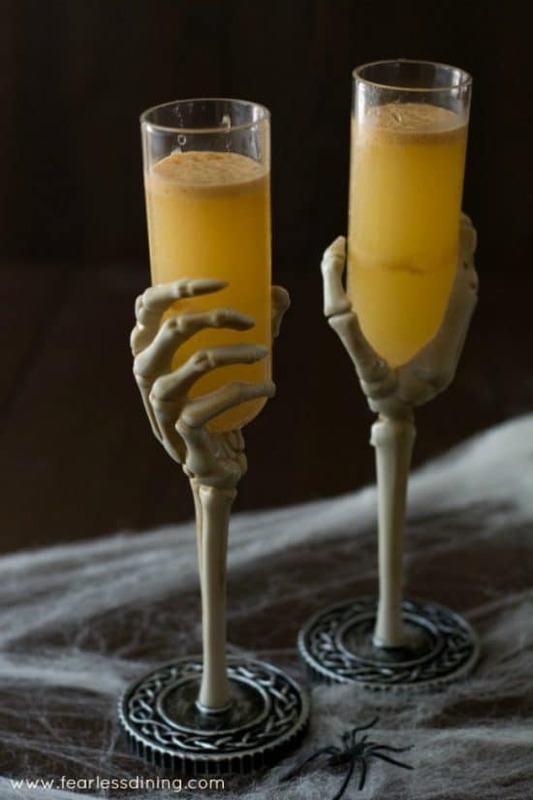 It’s perfect paired with the apple, pumpkin and ginger flavors in this cocktail and it’s delicious in my Jack Skellington Shots when it’s mixed with Rumchata. Since we’re in the apple cider neighborhood lets look at this sweet sip. Unlike all the other recipes here this one gets it’s pumpkin flavor from Pumpkin Spice flavor extract. This is probably the most complicated recipe on the list, there are a lot of parts to put together. 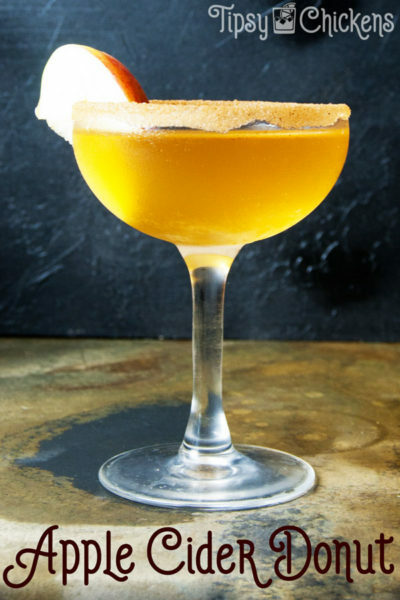 Among those a pumpkin caramel syrup and a fancy sugar rim. 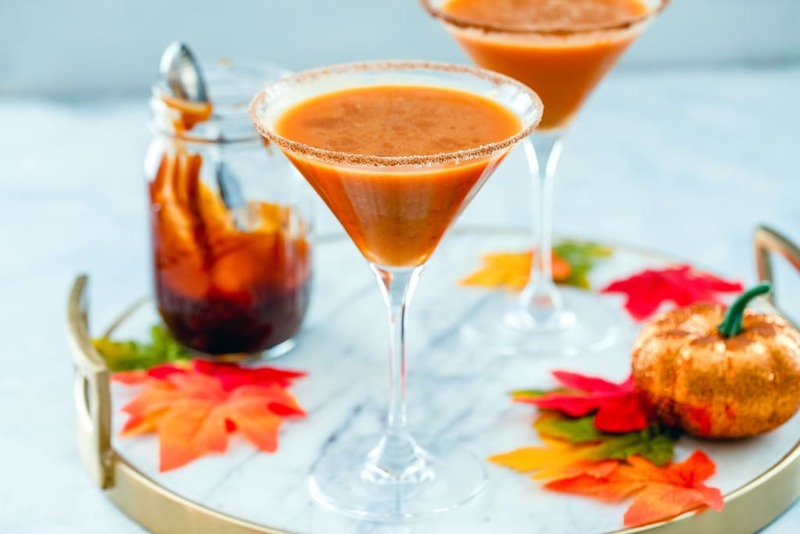 It’s all worth it when you get to hand your guests a fancy pumpkin pie martini like this though! 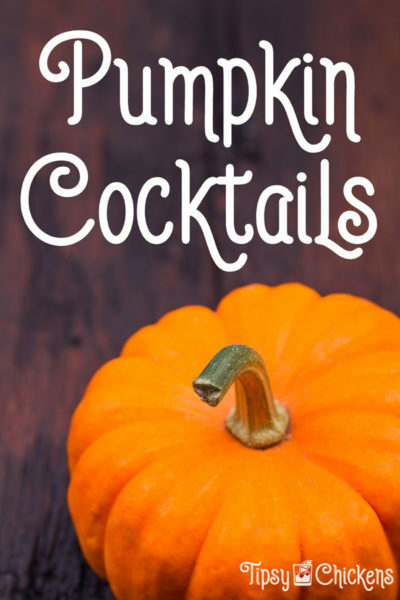 It’s filled with vanilla vodka to get the party started and pumpkin puree to keep you in the autumn state of mind. Wine is slowly becoming a major player in my life, along with a 97% Target purchased wardrobe and a constant messy bun I think it’s proof that I’m.. basic. But I’m ok with that, especially when I can enjoy my wine with a splash of pumpkin.